Too Calm (太冷静 or Tai Leng Jing) is an insert OST (original soundtrack) and background music for Office Girls, though up until episode 7, only the music version of the song has been played in the drama. It’s reported the complete song will feature in later episode of the drama. 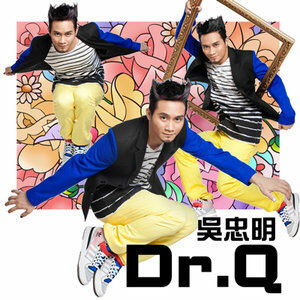 “Too Calm” is one of the hit song of Quack Wu Zhong Ming (吳忠明) first personal album, Dr. Q, that was released in October 21st 2011. Quack Wu is more famously known as Big Q (大Q). The song’s lyric and music was written and composed by Big Q Quack Wu himself. Big Q first sang the “Too Calm” song on an concert, and on air wave, the “Too Calm” debuted through iRadio, both before the official release of the album. Big Q sang at Golden Bell Awards. Listen to complete and clean CD version of Too Calm (太冷静) from the album on YouTube.